Efficient source selection and optimized query plan generation belong to the most important optimization steps in federated query processing. 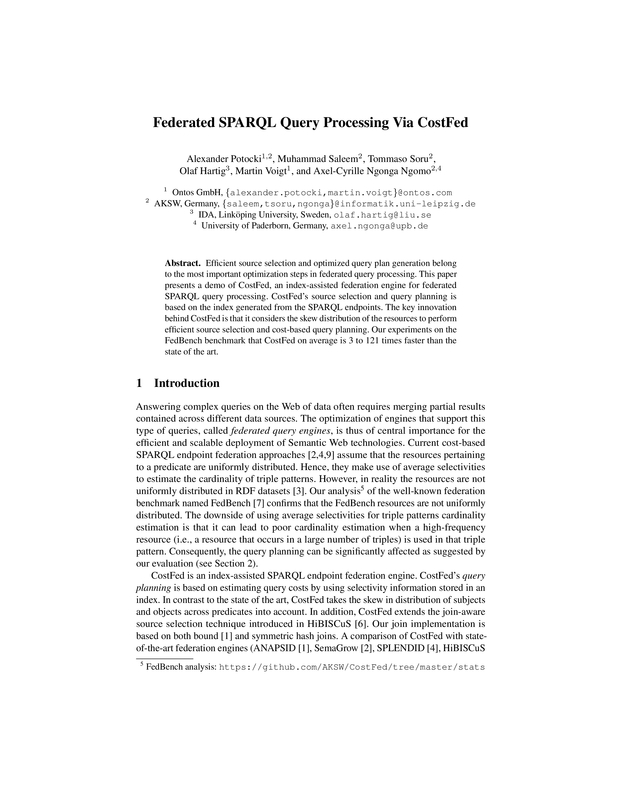 This paper presents a demo of CostFed, an index-assisted federation engine for federated SPARQL query processing. 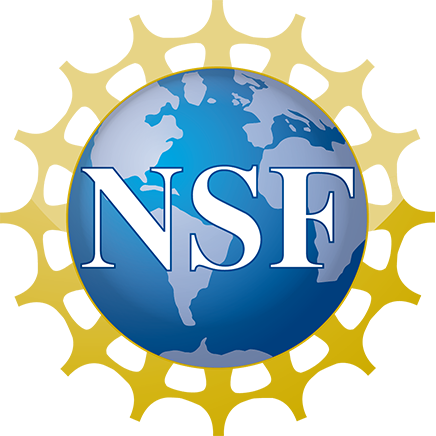 CostFed's source selection and query planning is based on the index generated from the SPARQL endpoints. The key innovation behind CostFed is that it considers the skew distribution of the resources to perform efficient source selection and cost-based query planning. Our experiments on the FedBench benchmark that CostFed on average is 3 to 121 times faster than the state of the art.